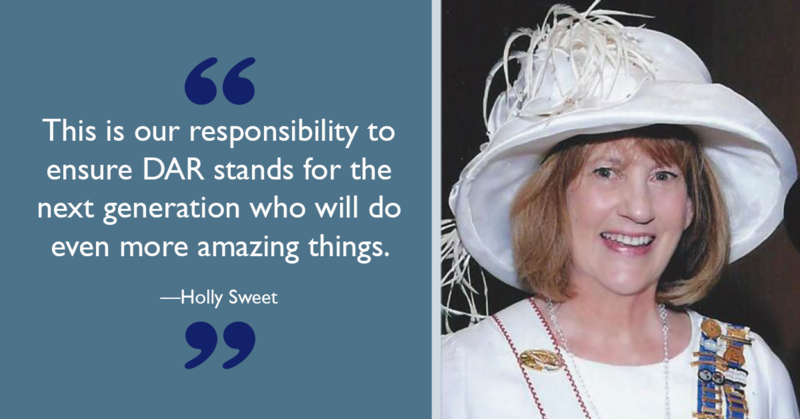 If you would like to support National Society Daughters of the American Revolution and receive steady payments during your retirement years, a charitable gift annuity may be right for you. Through a simple contract, you agree to make a donation of cash, stocks or other assets to NSDAR. In return you (and someone else, if you choose) receive a fixed amount each year for the rest of your life. The example, below, applies if you itemize your taxes. Your initial gift is eligible for a partial income tax deduction. Generally, the older you are at the start of your payments, the higher your payments. These rates are the maximum rates recommended by the American Council on Gift Annuities and are adjusted periodically. 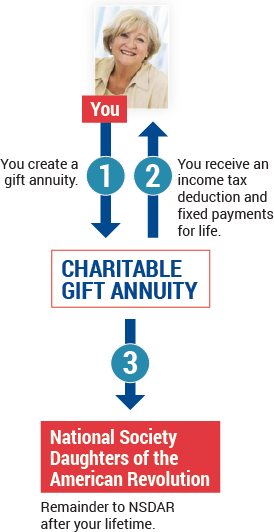 Contact the Office of Development at (800) 449-1776 or giftplanning@dar.org with any questions about establishing a charitable gift annuity with NSDAR. We are happy to help, without obligation. Ready to Create Your Legacy but Not Sure Where to Begin?